Category: New. 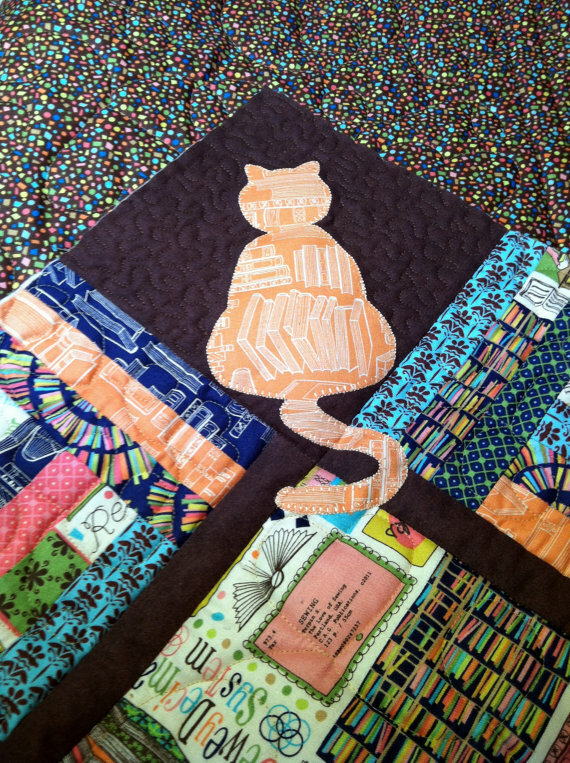 Tags: Cotton, Lap, Wall Hanging. Do you love books as much as I do? 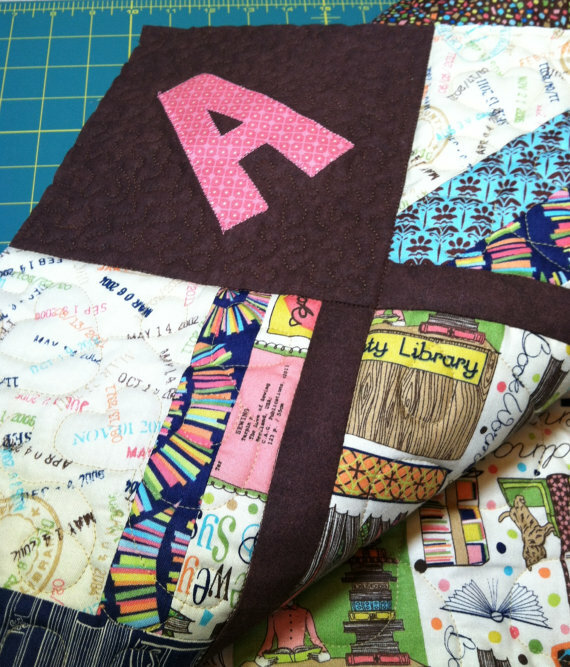 Here is a cute throw/lap quilt. 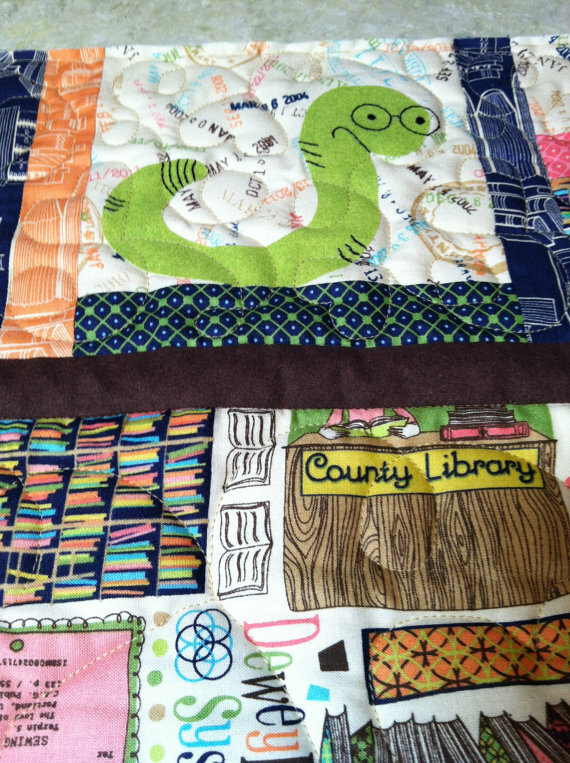 This quilt would make a great gift for that special book worm to cuddle up in. 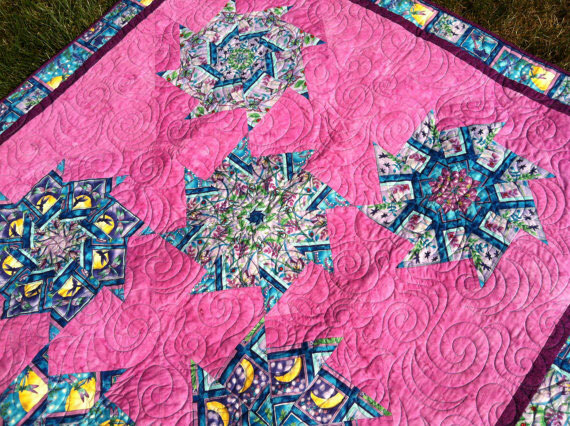 It measures 50″ x 50″ and was machine pieced and custom machine quilted in a smoke-free studio. 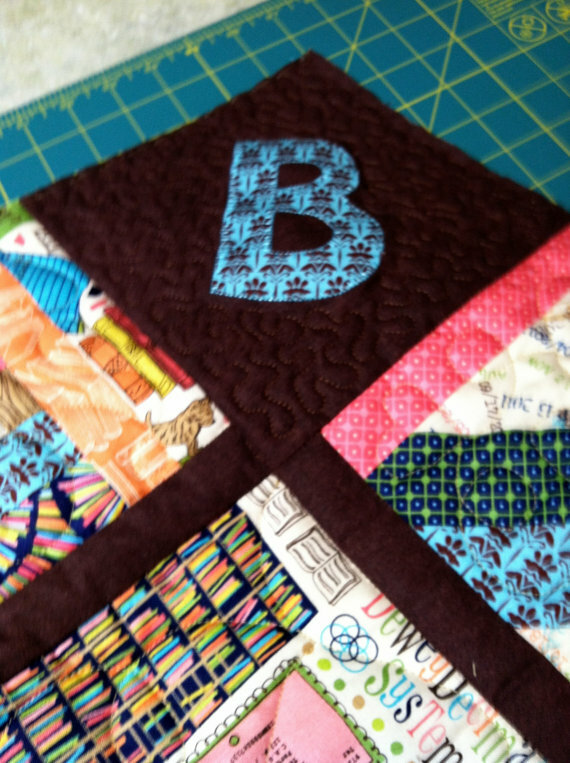 If used as a wall hanging, a sleeve can be added by request.